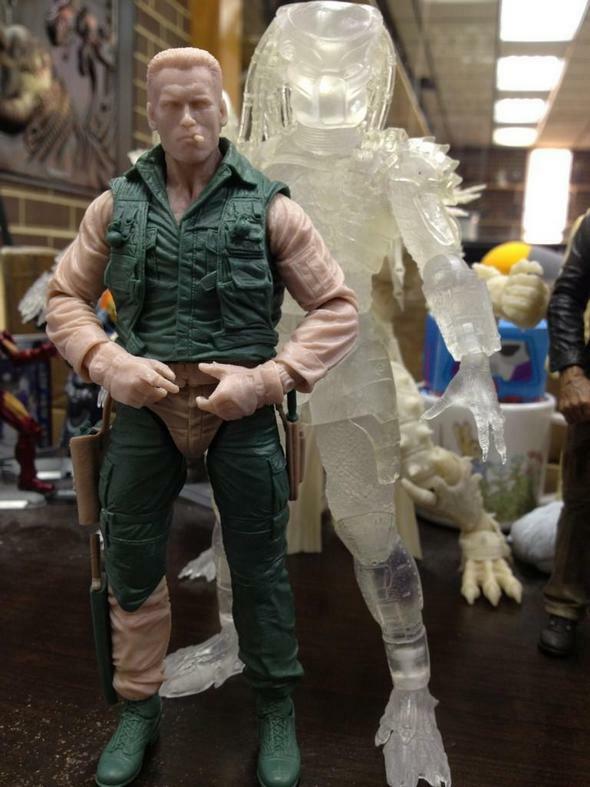 BTS First Look — Predators Series 8 Dutch Schaefer 7″ Action Figures! 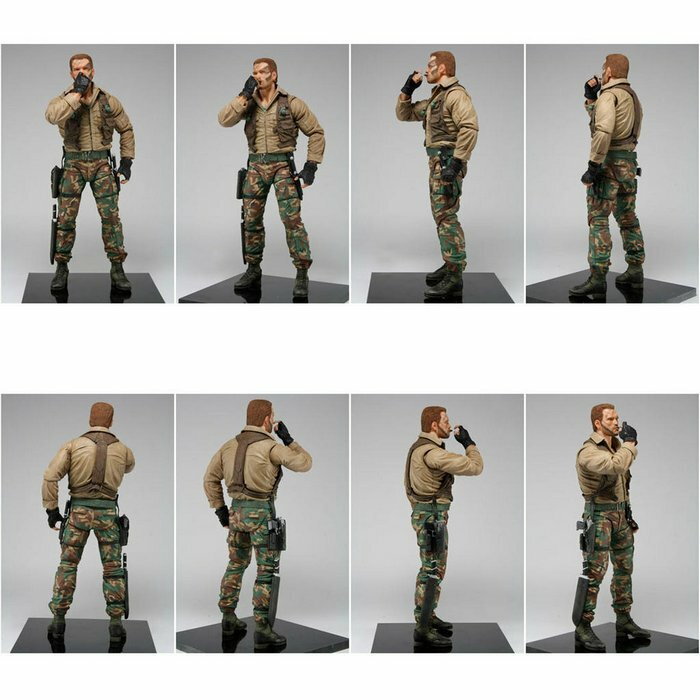 You are here: NECAOnline.com » Blog » Behind The Scenes » BTS First Look — Predators Series 8 Dutch Schaefer 7″ Action Figures! The response to Predators Series 8 has been incredible! Here’s an exclusive behind the scenes look at the first-ever figures of Dutch Schaefer! When you get to de choppa, tell ’em Dutch sent ya. Next up in the hugely successful Predators 7″ action figures line is Predators Series 8, which includes our first-ever figures of Arnold Schwarzenegger as Dutch Schaefer! As previously announced, Series 8 includes 2 versions of Dutch — the Jungle Extraction Dutch and Jungle Patrol Dutch. Jungle Extraction Dutch is faithful to his appearance as they first enter the jungle, complete with military shirt and vest, features over 20 points of articulation, an M-16, Pistol, Machete, and Knife accessories. 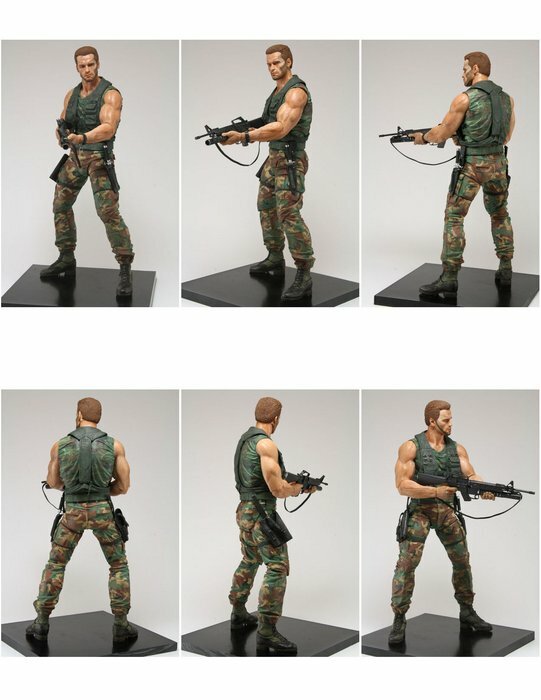 Jungle Patrol Dutch is immortalized in his camo muscle shirt and vest and features over 20 points of articulation, an M-16, Pistol, and Knife accessories. But it’s Not all Arnold! An iconic foe worthy of Schwarzenegger’s likeness, the new and improved Masked Jungle Hunter Predator includes additional ball-jointed hip and double knee articulation, over 25 points of articulation, extendable wrist blades, and removable backpack. This series also brings the debut of a brand new jungle themed packaging look complete with 25th Anniversary logo. Stoked on the first Dutch figures or want to show off your Predators collection? Hit us up on Facebook, Twitter or G+!